An activist of a prominent right-wing group is "Accused No. 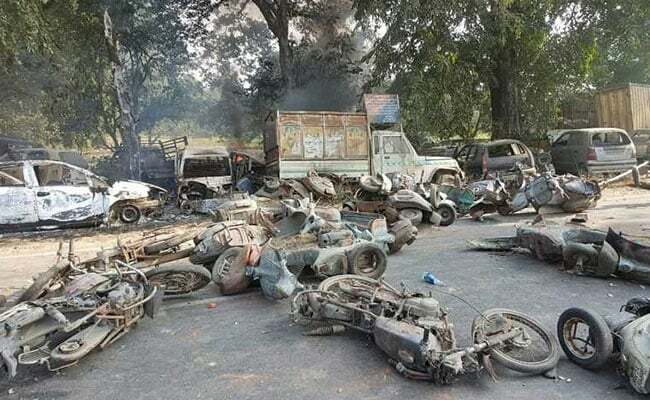 1" in the frightening murder of a police officer by a mob that chased his car and shot him yesterday in violence that broke out after the cow carcasses were found scattered in a forest in Uttar Pradesh's Bulandshahr. Yogesh Raj, a member of the fringe group Bajrang Dal and the main accused, is missing while four have been arrested. Yogesh Raj was the complainant in a separate case of cow slaughter after 25 carcasses were found by local people. He is seen in a video in which a police officer tries to placate him. The police were targeted when they tried to clear a road blocked by a mob protesting with a truck where the animal carcasses had been gathered. Hundreds chased the policemen, threw stones at them and burnt down their police outpost and cars. A BJP lawmaker, Devendra Lodhi, told Press Trust of India that the violence erupted because the police took no action on the cow killings. Inspector Subodh Kumar Singh, who was trying to control the wild mob, was wounded in the head with a stone. As his driver bundled him into his SUV and tried to take him to hospital, the mob followed the car, cornered it in a field and shot the police officer. "I ran for my life. I am not sure what the mob did when they reached the jeep," the driver said later. In a chilling mobile video taken apparently by a person in the mob, the body of the inspector is seen hanging out of his SUV after he was shot. As several gunshots ring out, a mob is seen running around, shouting "goli maro" (shoot him). Mr Singh died of a bullet wound below his left eyebrow, says the autopsy report. The mob took away his service gun and mobile phone. His two sons wept today as the officer's body, wrapped in the flag, was taken for the funeral. A 20-year-old local man was also killed in an hour of violence. 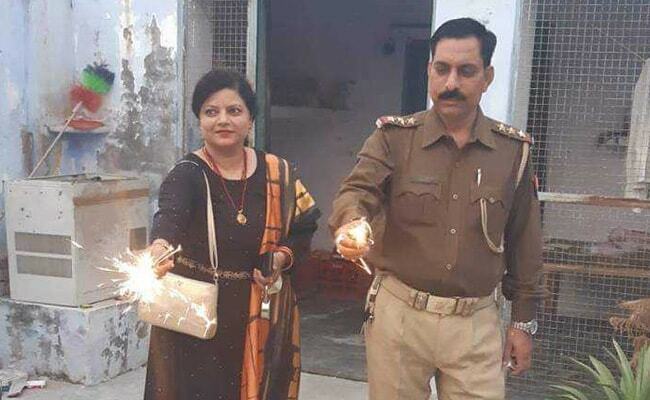 Chief Minister Yogi Adityanath, who attended a sound-and-light show at his home-base Gorakhpur after the rioting, has declared Rs 40 lakh for Mr Singh's family, Rs 10 lakh for his parents and a government job for a family member. A Special Investigation Team has been tasked to find out why Subodh Kumar Singh was left alone by other policemen. The police case names 27 people and includes around 60 unnamed accused. 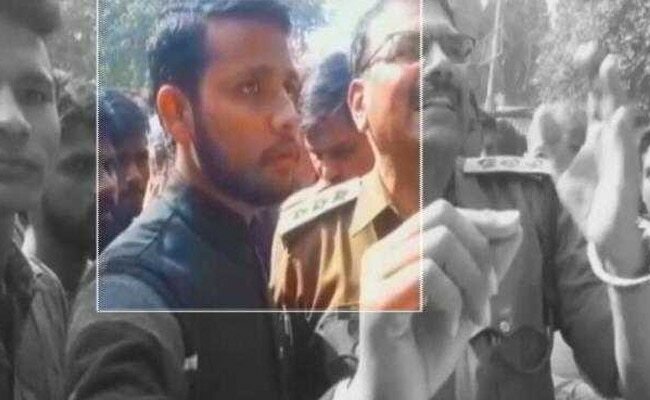 A BJP youth wing leader, Shikhar Agarwal, and VHP activist Upendra Raghav, are among those named in the police case or FIR. The officer's sister Sunita Singh oscillated between anger and grief. "The cow is our mother, I accept it. My brother gave his life for her. The chief minister used to chant 'gau.. gau.. gau'.. Why can't he come for gau raksha (cow protection)?" she raged, tearing up.